The biggest financial decision many adults make is buying a house. It may be very difficult to tell which option is better for you. Especially if you feel that your credit needs a little work. The process can be longer in that situation. However it may be worth it when you think about the pros and cons of renting compared to buying. While renting you can’t always decorate your home how you want. Painting… you usually can’t. No holes in the walls to hang your decor, and whatever damage you bring in the home, they take out of your wallet based on their pricing scale. They want to know who’s living in the home at all times and they access to your home without your permission. Basically it seems like we are living in someone else’s home that gives us rules. When you buy a home that’s your home. Anyone you want come visit or stay. You can decorate ow you feel fit. When its time for a change… paint, remodel, do whatever you want! Don’t worry when something breaks because you can call around and find the best service according to your own judgement. The only person telling you what to do in this home is you. The best part is no one has access to your home but who you give a key to!! Remember once you buy this is yours. Yours to decorate, yours to keep, and your to sell one day and move into a bigger home. We hope this has helped you decide on what you would rather do. Let us know how we can help you in your search. We can even help you decide based on your thoughts, credit, and maybe your future plans. 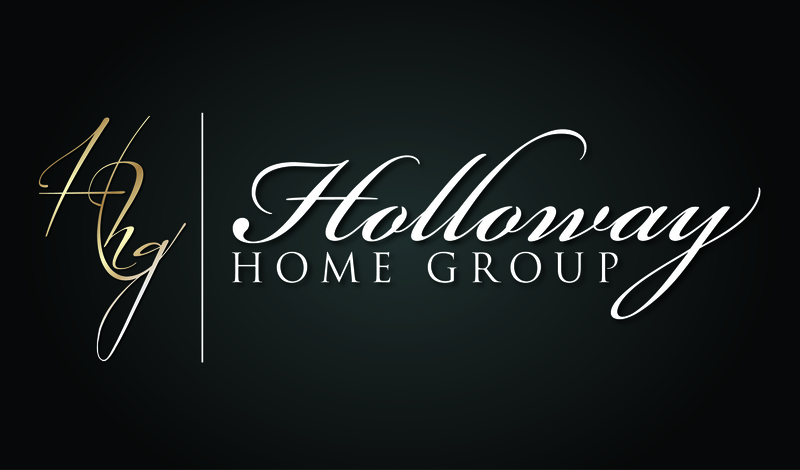 Call Holloway today to find your way. A few weeks later a second offer came in that our Sellers accepted. This time it was destiny. We accepted the offer and the closing process began. The buyers came with a VA loan to buy this home at $235,900. The Sellers agreed to pay $4,255.76 in concessions, and we closed on 8/8/14 at Franklin Title in Bossier City. Our Sellers are out of town so they gave HHG POA to sign all closing documents at closing. 1829 Emberwood is a 2 story 4 bedroom 3 bath Bossier home. Located in the amazing subdivision on Bayou Bend and close to all the shops and stores on Airline Dr. There is a large front yard and a fenced in back yard. Also a covered patio area. All in all this was a win win for the buyers and Sellers. Search homes for sale in Bayou Bend or search homes for sale in Bossier City. 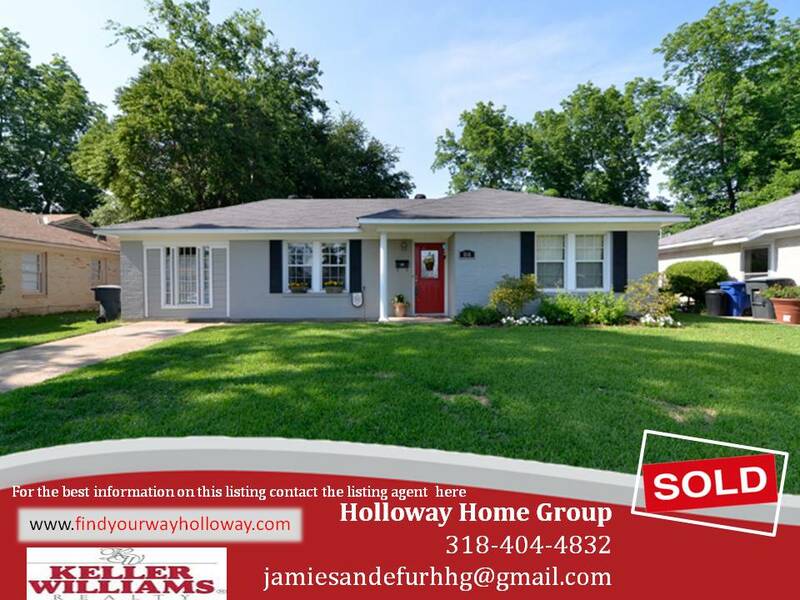 On 8/12/14 HHG closed on this Shreveport home that we had listed. 7370 Winderweedle Dr. for Mr. and Mrs. Poole. This property was a rental property before the Poole’s decided to list. We knew them through a friend and church so they decided to give HHG a chance and now it’s SOLD. This home is a 3 bedroom 2 bath sitting on about 1 and a half acres. There is a smaller home right beside which is used as the “Mother in Law Home.” Just an extra little space for a guest or two. On the front porch there is a large porch swing for some nice relaxation. This home will surely be enjoyed by it’s newest owners. What’s new Wednesday? Well for HHG it was a Closing in Broadmoor. HHG had 168 Carroll listed as an Exclusive Listing and it was closed on Wednesday 7/30/14. 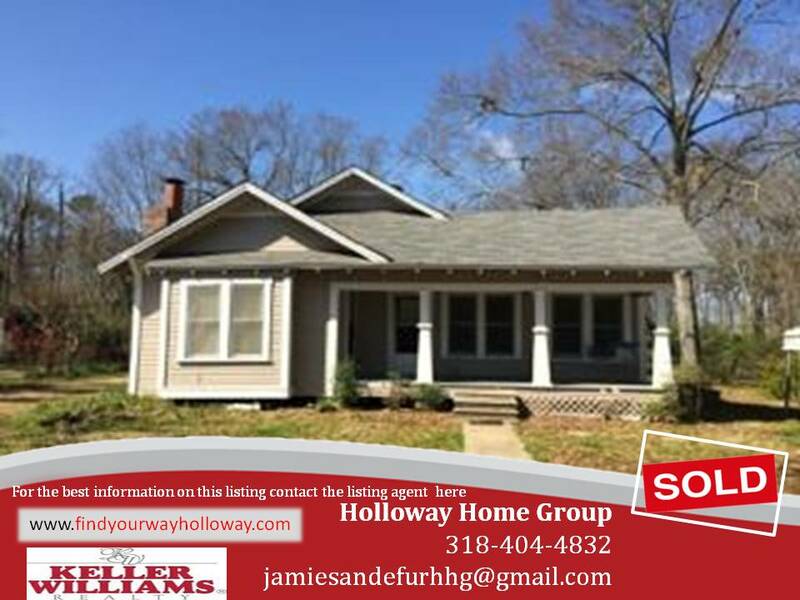 Jamie Sandefur HHG’ s Listing Agent had this one in the bag almost as soon as it went on the market. We closed this one at M&M Title on Line Ave. Our Sellers that Hathorns live out of town so Jamie had POA. The Buyers did a Conventional Loan, and Sellers paid $4000 closing cost. It sold for $144,900 in an agreement after the offer was made by the Buyers. HHG listed this home about a month and a half ago. We got off to a rocky start with this one. When we got this property listed there was major construction on Carroll St. Some viewers did not even want to see this home once they arrived at Carroll St. just because it was so jammed up. Through this set back the property was still only on the market for about 3 weeks before we got an offer. Searching for homes for sale in Broadmoor? Let us know! We can help.